9443 Hawkinsville Rd Boonville, NY. 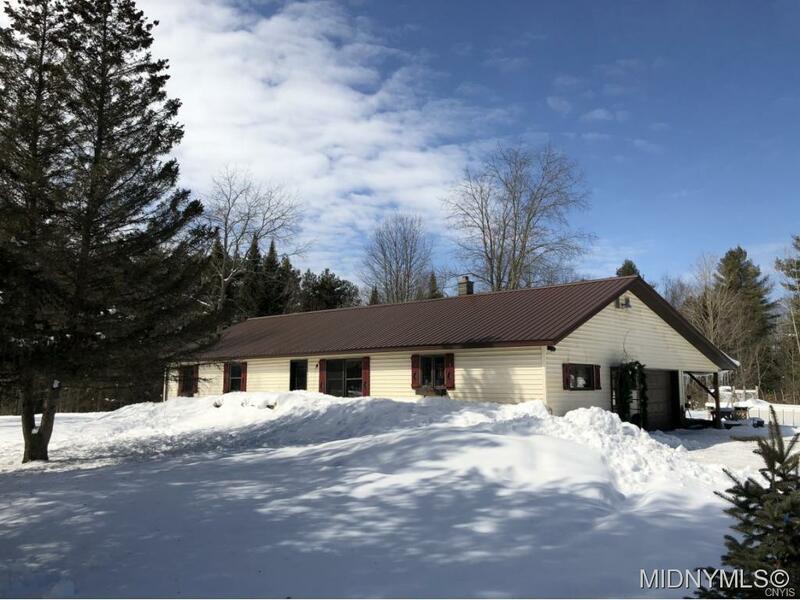 | MLS# 1800801 | Benn Realty LLC -Since 1968, and now with offices in Old Forge and Remsen to serve you better. This ranch offers a spacious, open floor plan ranch. Lg mstr bdrm. 2 add'l bdrms. Eat in kitchen and full dining room open to large living room w/wood stove and vaulted pined ceiling w/beams. Full basement, attached 1 car garage. Huge covered porch, Detached barn/garage with Man Cave area upstairs. 5 acres. Bring your ideas!